The much-awaited ONE Fighting Championship takes center stage in the SM Mall of Asia (MOA) Arena on December 5, 2014, set to captivate its audience with an epic battle for the grand title. 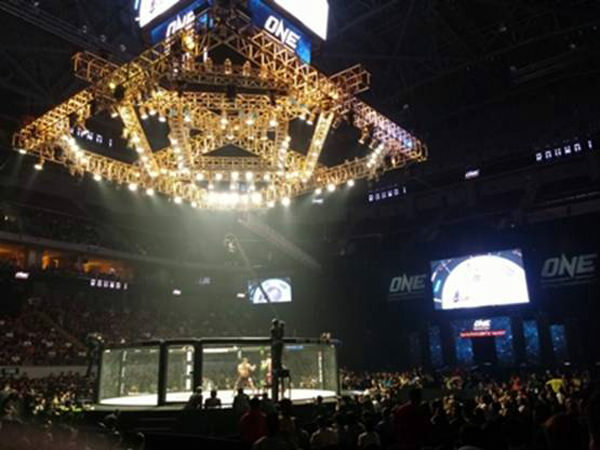 With over 90% market share in Asia, ONE Fighting Championship is Asia’s largest Mixed Martial Arts (MMA) organization. Headquartered in Singapore, ONE FC hosts the best Asian mixed martial artists and world champions, all signed to exclusive contracts, on the largest media broadcast in Asia. To spread prestigious sporting affair beyond the precincts of the jam-packed arena, global technology innovator LG Electronics gives more MMA aficionados an opportunity to experience the spectacular match highlights at the comfort of their homes through the ONE FC app. Now available on LG NetCast Smart TVs, the ONE FC channel gives users exclusive access to hours of high-definition MMA content featuring the intense battles among industry greats from around the world and replays of the most exciting shows in the history of ONE FC. The app will also be available soon in WebOS version early next year. To download the ONE FC app powered by LG Smart TVs, Keyword Search “ONE Fighting Championship” at http://ph.lgappstv.com/. To learn more about LG’s full Home Entertainment lineup, visit www.lg.com/ph, or www.LGnewsroom.com; like LG’s official Facebook page “LG Philippines”; or follow @LG Philippines on Twitter and Instagram. now available in LG NetCast Smart TVs and soon on webOS versions.